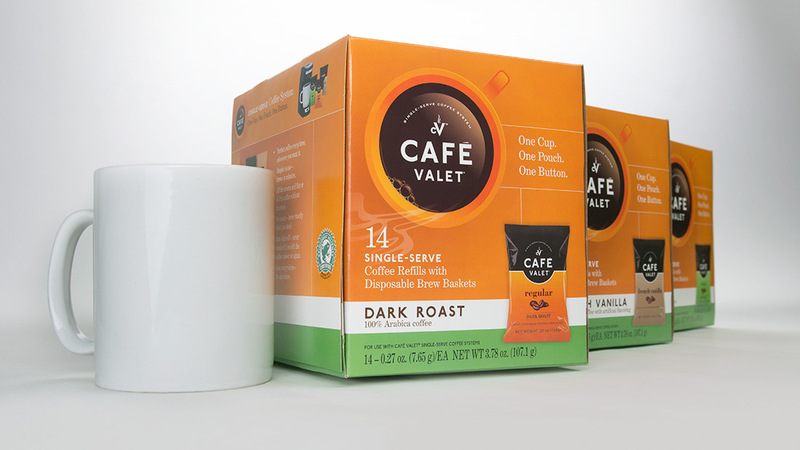 Café Valet Packaging - Phoenix Creative Co. 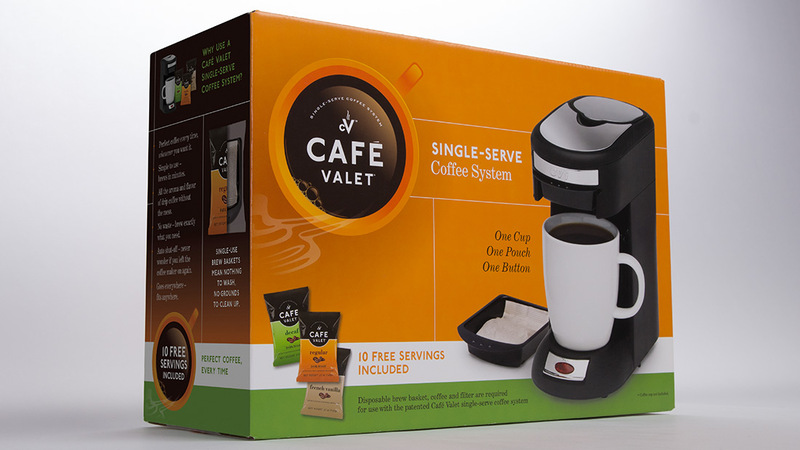 Since 2003, hundreds of millions of hotel guests have enjoyed the Café Valet Single-Serve Coffee System in over a million hotel rooms across North America. When Courtesy Products wanted to make their easy, compact, and affordable single-serve coffee system available to consumers at home, we brewed up packaging that quickly conveys the quality and convenience the coffee maker delivers.